It’s time to bust out the shoulder pads, peplum jackets, and Aqua-Net. Gossip Girl creators Josh Schwartz and Stephanie Savage are returning to The CW to reboot the Dynasty TV show. The original Aaron Spelling nighttime soap ran for nine seasons on ABC between 1981 and 1989. It starred John Forsythe, Linda Evans, Joan Collins Gordon Thomson, John James, Michael Nader, Jack Coleman, Heather Locklear, Pamela Bellwood and Pamela Sue Martin. According to Deadline, Schwartz and Savage are working with Revenge writer and producer, Sallie Patrick, and Revenge creators Esther Shapiro and Richard Shapiro, on the updated drama, which will be set in the present day. Co-written by Schwartz & Savage and Patrick, the new Dynasty follows two of America’s wealthiest families, the Carringtons and the Colbys, as they feud for control over their fortune and their children. The series will be told primarily through the perspectives of two women at odds: Fallon Carrington, daughter of billionaire Blake Carrington, and her soon-to-be stepmother, Cristal, a Hispanic woman marrying into this WASP family and America’s most powerful class. This is a new spin on the premise of the original series, which focused on oil tycoon Blake Carrington (John Forsythe), whose daughter Fallon (Pamela Sue Martin) resents Blake’s much younger former secretary Krystle Jennings (Linda Evans), to whom he is about to get married. Cristal will be a version of the Krystle character in the CW version, giving it a more diverse feel. Schwartz and Savage will executive produce though their Fake Empire banner alongside Patrick and the Shapiros. Patrick will serve as showrunner if the project moves forward. Fake Empire’s Lis Rowinski is as co-executive producer. What do you think? 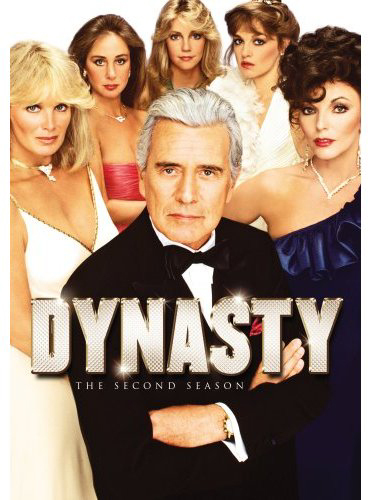 Were you a fan of the original Dynasty TV series? Who would you like to see cast in the remake? Let us know, below. More about: Dynasty (1981), Dynasty (2017), Dynasty (2017): canceled or renewed?, Gossip Girl, Gossip Girl: canceled or renewed?, Revenge, Revenge: canceled or renewed?, The CW TV shows: canceled or renewed? Dynasty: Joan Collins Would Love to Play Alexis Again — in the Prequel Movie? Hoping they bring rachel bilson on in some role, she’d be great! You need to keep the family blood line the same…..don’t mess with the whole diverse feel. Learn from the Dallas reboot mistakes. The audience WANTS the old feel the old cast with next gen. LISTEN to US. We want the Joan Collins and the Tracy Scoggins, John James. If I ran The CW, I wouldn’t have any more series on that network produced solely by CBS Television Studios. One reason is that final-season-number-omission thing that Paramount Home Video always does, and this problem has already affected the original “Dynasty” that aired on ABC. I would have all future CW series be either co-productions of both CBS TV Studios and Warner Bros. Television, or produced solely by Warner Bros. Television. The home-video rights to CTS/WB co-productions will end up going to Warner Bros. rather than Paramount, anyway. “Cristol”? lmao…of course a PC version. No thanks. I hate this idea! Very bad idea! I want Dynasty next genrations with old and new cast.